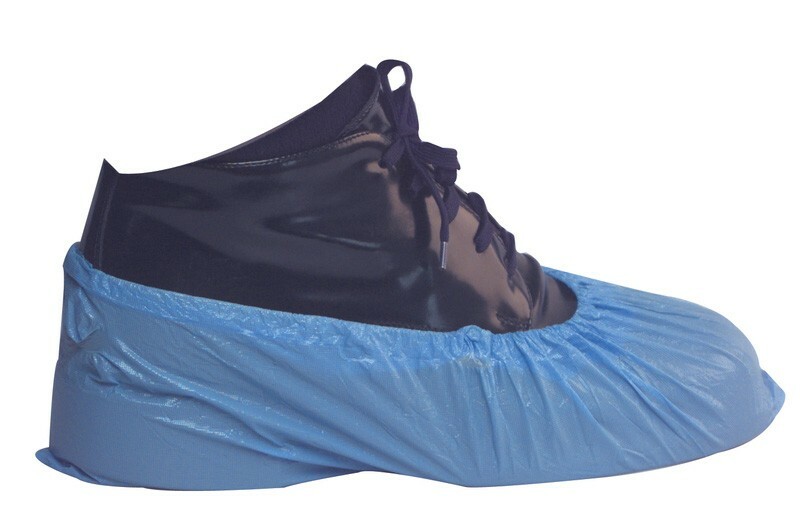 Polythene overshoes are ideal for use in factory visits, swimming pools, nurseries, hospitals, laboratories, clean rooms and also for estate agents and within new build houses when providing inspections and viewings. The overshoes are deeply embossed to provide better support and grip for the user and are also elasticated to ensure the overshoe does not accidently slip off whilst in use. Vacuum packed for easier storage. 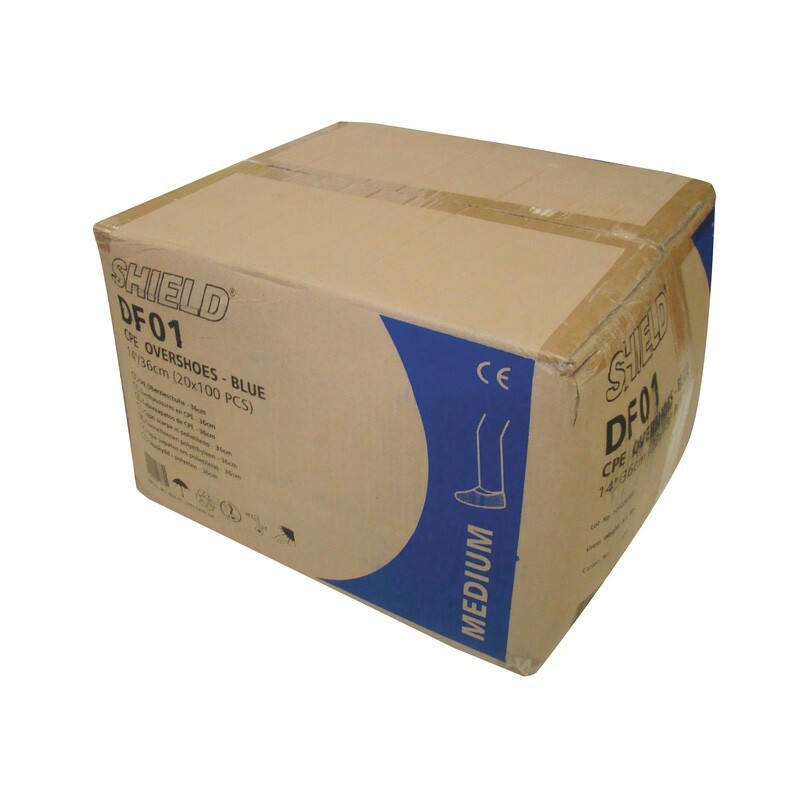 Slip the foot into the overshoe, ensuring the whole of the shoe or boot is covered. 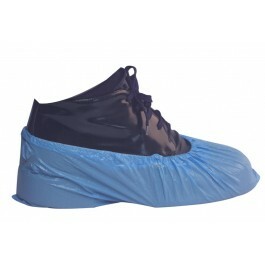 The elasticated portion of the overshoe is to be situated around the ankle. After use simply remove and discard accordingly. Please Note: Polythene products should not be exposed to temperatures above 50c.